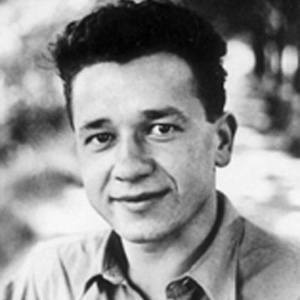 A Polish author, poet, and journalist of the Twentieth Century, he is best remembered for This Way for the Gas, Ladies and Gentlemen and other World War II-era works. He was a recipient of both the Polish Second Degree Honor and the National Literary Prize. He was a prisoner in the Nazi concentration camps of Auschwitz and Dachau. He escaped death when American troops liberated the latter camp in 1945. He committed suicide in 1951, just three days after the birth of his daughter. His wife Maria, whom he wed in 1946, was also imprisoned by the Nazis during the war. He is one of four Polish men profiled in The Captive Mind, a 1953 nonfiction work by author Czeslaw Milosz.